This Top Gear award is the latest addition to what is now a growing list of accolades for the 90 series of models that also includes the S90 Saloon and XC90 SUV. 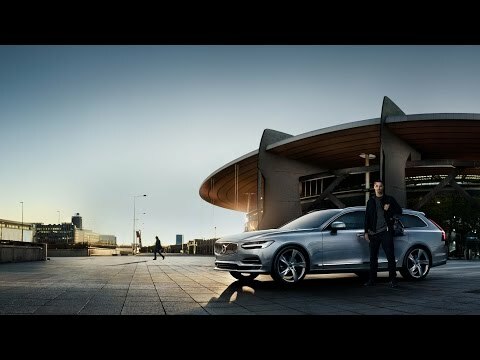 Earlier this year, the Volvo V90 was named as the overall winner of ‘Scottish Car of the Year,’ and this award from Top Gear is a notable tribute to the car’s true game-changing capabilities, and one that acknowledges what an advancement the Volvo V90 really is. Travel in first class, in every seat, everyday. When you’re in the V90, it’s like your own private lounge where luxury combines with technology and incredible levels of craftsmanship. The seats are supportive, the front seats have been design to increase legroom for those sat in the rear, and that also adds to the sense of space the optional panoramic glass sunroof provides by flooding the cabin with light. At night the cabin glows with warmth inviting you into the car, while optional illumination packages enhance this feeling even further. This sense of luxury is complimented by the overall feeling of safety the V90 provides. With Volvo IntelliSafe, the V90 is always looking out for you, helping to prevent accidents and to protect you in a collision. City safety is at the heart of the V90’s array of standard equipment features and acts like a co-pilot, detecting danger ahead, warning you, and even intervening if necessary. The central point for all this technology is the standard nine-inch Sensus screen. This is where many of the Volvo V90’s features are controlled with a simple press on the high-resolution touch screen, even when wearing gloves. Sensus lets you access the V90’s technological capabilities and can be further enhanced with the optional head-up display, which puts relevant information right in front of you without ever having to take your eyes off the road. The clear graphics make using the maps simple, and with free lifetime map updates, Sensus always stays one step ahead. Continuing to innovate and providing the high levels of features associated with Volvos, the V90 is available with a WiFi hotspot as well as comprehensive smartphone integration. The centre display can be turned into an extension of a smartphone using Apple CarPlay or Android Auto, where music on the device can be accessed, calls can be made and received, and messages can be sent. The Spotify in-car app connects you to a wealth of on-demand music and makes finding new tunes easy, as well as providing access to internet radio. The High Performance audio system helps you make the most of your music, while the premium Sound by Bowers & Wilkins takes the listening experience to an entirely new level. The Volvo V90 is now available to experience at your local Volvo Cars London dealership. Experience the intense levels of connectivity that not only make the V90 easy to live with, but also immensely enjoyable to drive. Like the Volvo S90 Saloon, the Volvo V90 has been built with quality and safety at its core and all this is evident as soon as you see it. Visit your local Volvo Cars London dealership or get in touch now to arrange a test drive so you can experience the detail for yourself; from the quality of the materials to the unrivalled refinement, the V90 is everything you would expect from a Volvo plus so much more.